Camping meals are a BIG thing here at Little Family Adventure. Our goal has always been to help you eat healthier, wherever you are, so you have the energy to find you own adventure. From time to time, we receive food samples to try out and provide feedback on. Lately, we have received some really good ones that I think you are going to like. While camping, we love cooking over a campfire to create food that is delicious and still on the healthy side. Up until now, all our camping meals have been more car camping/tailgating than backcountry cooking. But, readers have been asking us to talk about dehydrated camping food. Up until now our family has done only car camping with a large cooler full of fresh food for meals. Now that the kids are older, we want to try more backpacking and that means we have to go lighter. I’ll need to reduce bulk and streamline our meals. You may be in the same boat. Enter in dehydrated camping meals that are either precooked and dehydrated or dehydrated ingredients used to cook dishes on site. I don’t have the time to prep, cook, and dehydrate food, so I’m not ready to create my own dehydrated camping food just yet. But there are thousands of pre-made options available online and in stores. Unfortunately, the majority of what I’ve found aren’t what I would call “healthy”. Yes, they would feed me and provide calories. But how am I going to feel after eating them for 2-3 meals? Is the meal high in sodium? Is it full of preservatives? Several of the backpacking dehydrated meals I have seen in stores contain ingredients I can’t pronounce (preservatives or additives) or ingredients I won’t eat (hydrogenated anything). So I decided to put together this list of dehydrated camping meals that are healthy and contain natural ingredients. Most importantly, they taste good! Let’s face it, if it doesn’t taste good, you won’t eat it. 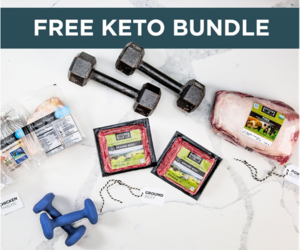 Everything on this list is a product that I have personally tried and would feed my family. 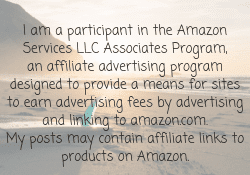 I received many of them for review, but I haven’t been compensated, although there are affiliate links. If you decide to purchase through those links, it helps pay for the coffee that keeps us turning out adventures week after week. Not your traditional camping meal, but it is perfect anywhere ANYTIME. 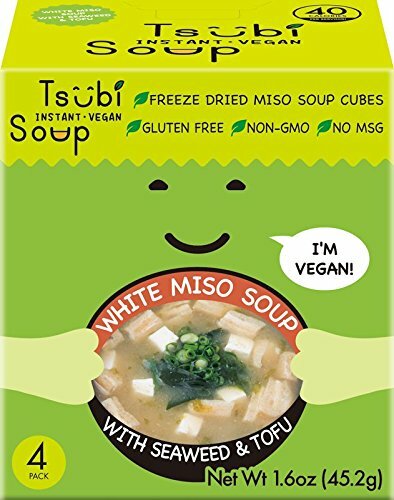 Tsubi Miso Soup is a freeze dried miso soup cube that is vegan, gluten free, and contains no GMOS or MSG. Each dehydrated cube comes in an individually sealed pouch. Just remove from the package and place in a cup or bowl and add hot water. 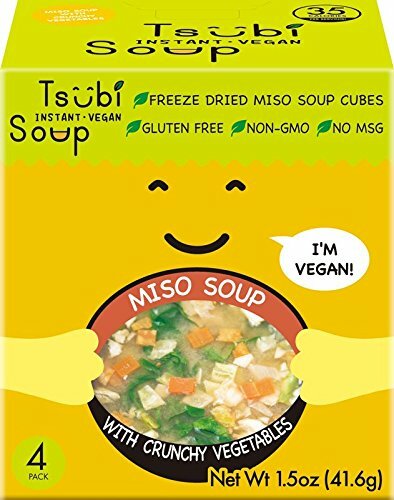 You can enjoy a cup of hot miso soup in just minutes. 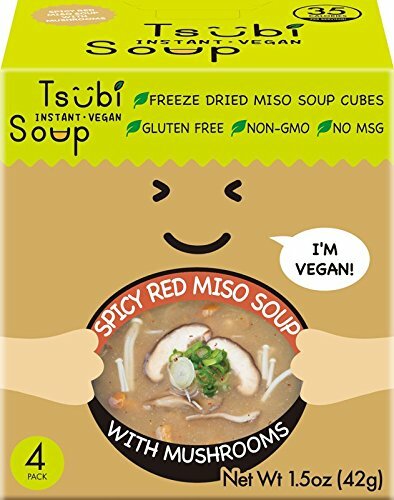 Choose one of three varieties; White Miso with Seaweed & Tofu, Miso Soup with Crunchy Vegetables, and Spice Red Miso Soup with Mushrooms. All are low in sodium and taste delicious. Made in Japan. Available in select Whole Foods stores and online on Amazon. I honestly could have breakfast any time of day, even when I am out camping. 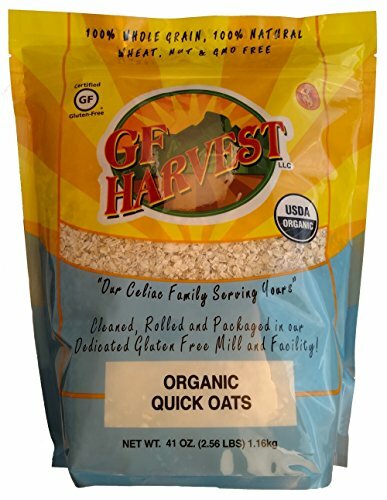 GF Harvest Oatmeal is a gluten free option that comes in a variety of flavors. 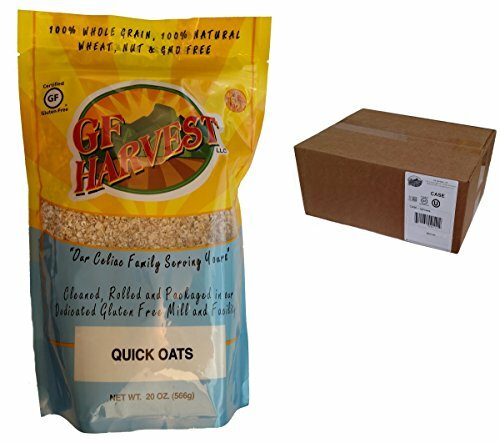 There are numerous oatmeal brands out there. But this one made the list because of their packaging. 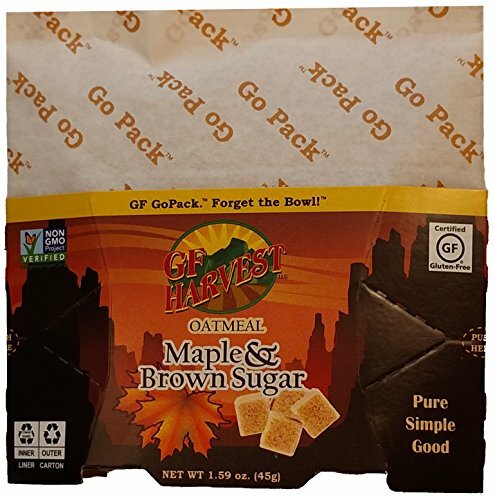 This convenient GoPack™ allows you to make a bowl of oatmeal anywhere from the office to the backcountry. 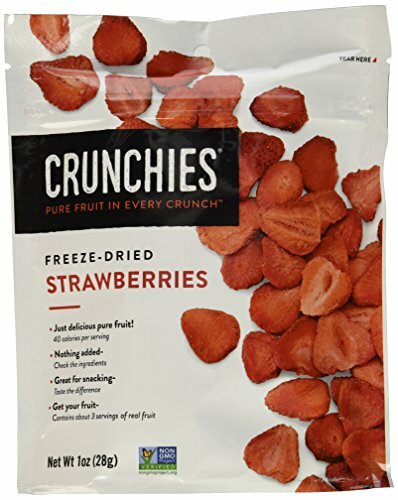 These freeze-dried fruit & veggie snacks have zero added sugar. They are also gluten free, vegan, and contain no GMOs. 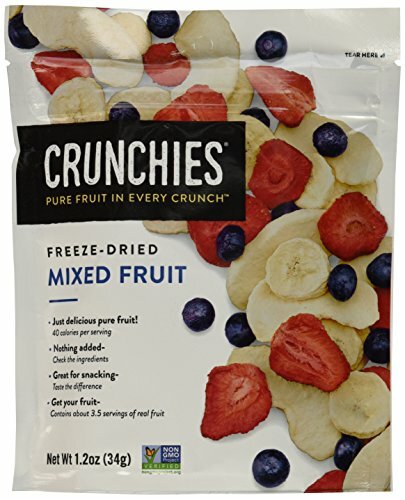 The fruit bites are great by themselves or added to other foods like the GF Harvest Oatmeal for breakfast or to yogurt for a parfait. 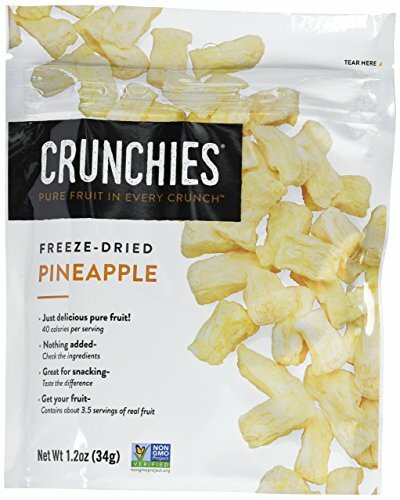 Crunchies come in a variety of flavors like raspberries, beets and pineapple. The dried beet and pineapple were two of my favorite. 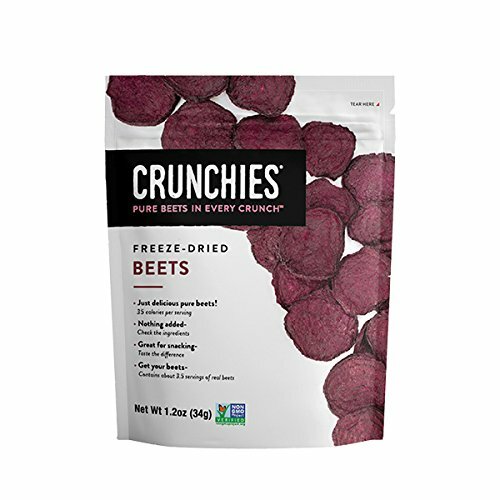 I got my kids to try the beet just because of the red color, They loved them as much as I did. It’s like eating a chip without the greasy fingers afterwards. I look at ingredients labels when I buy convenience style foods. One thing I like ti see on fruits and vegetable products is a country or area of origin. 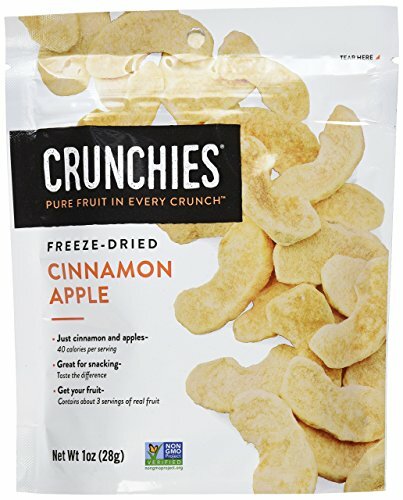 I like that Crunchies added that information to each of its bags. Jerky is a classic dehydrated camping food. 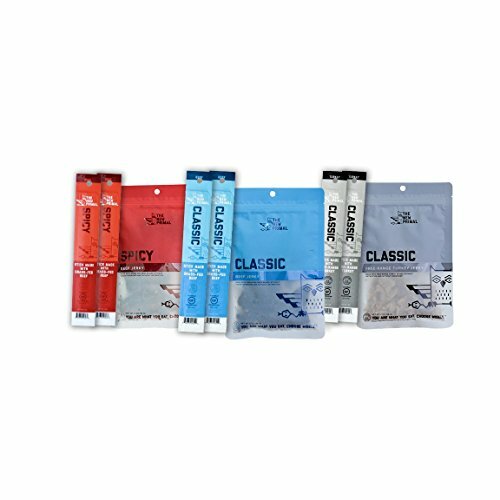 In the past, you could generally find 2-3 different flavors of jerky in a store; original, peppered, and maybe a teriyaki or spicy. 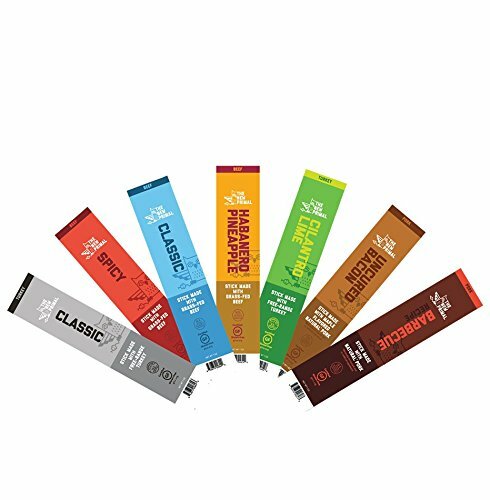 The New Primal offers 13 different flavors from Classic Beef Jerky to Cilantro Lime Turkey Sticks. 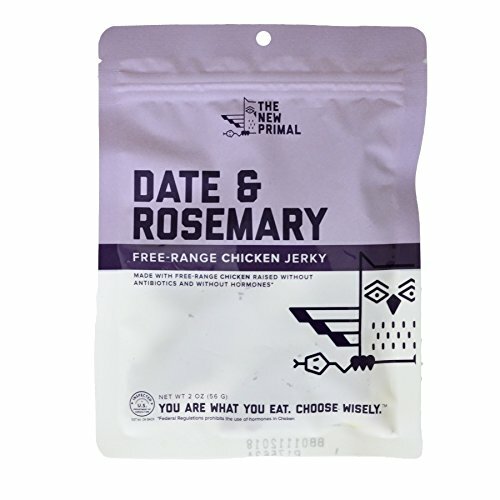 There products are made with grass-fed beef, free range poultry, and naturally raised pork. Their products are gluten free and appeal to both children and adults. 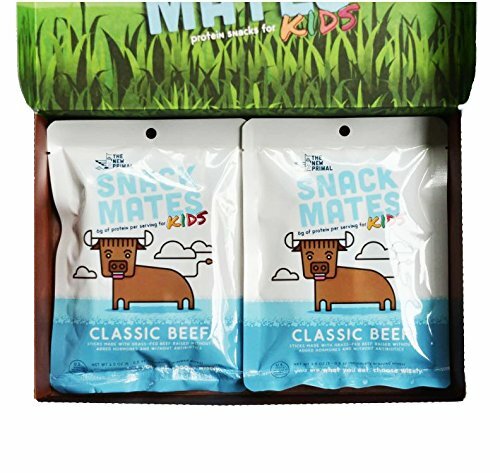 Their new Snack Mates Kids are a smaller size and are perfect for school lunches or a snack while hiking. 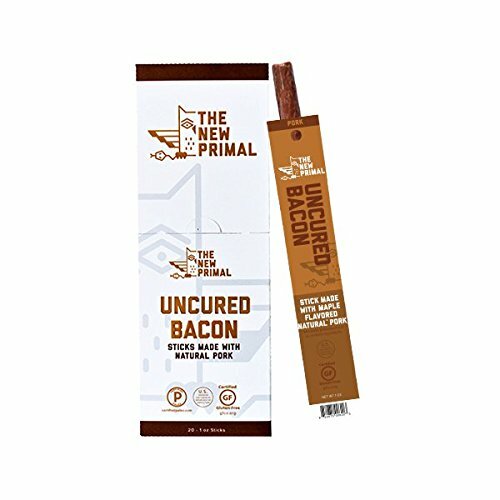 I like all the varieties, but if I had to pick just two it would be the Uncured Bacon Pork Stick and Spicy Beef Jerky. Available at grocery stores near you and online at Amazon. 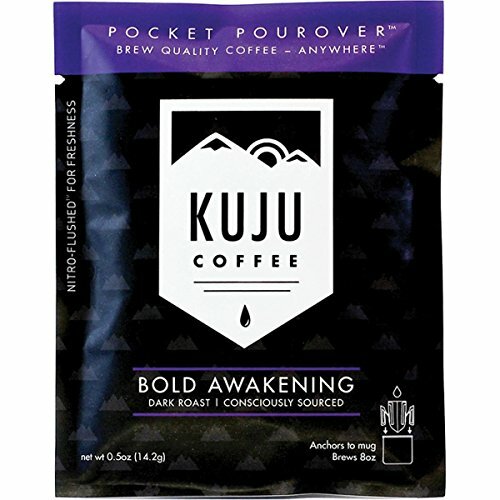 Kuju Coffeeis a pocket pour over pouch system that can go anywhere you are. It’s not dehydrated, but it’s ready to go with hot water. Coffee comes in a semi-compostable pouch that has attached winds that secure the pouch over the sides of any cup. (Note: The adhesive on the wings make it not fully compostable.) You open the pouch, attach the wings to the cup and slow pour hot water over the coffee grounds. The coffee is best when you pour half a cup, allow it to go through and then repeat. 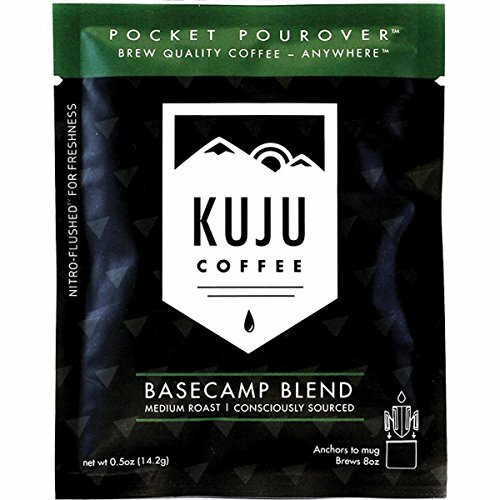 Kuju Coffee was developed by two Eagle Scouts that were tired of terrible coffee when they went camping.They developed three types of coffee that will get any adventure morning started. You can try their bold, medium, or light roast. I’m partial to the bold roast because I like a strong coffee to get me moving in the morning. The bold does that without a bitter after taste and mild acidity. 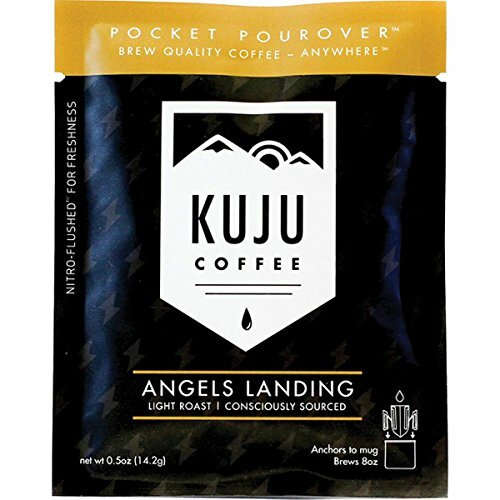 You can find Kuju Coffee on Amazon. These are just some of the healthier camping meals and other foods I found that our family really likes. If you have others, I’d love to hear what they are and why you like them. I plan to get my dehydrator out later this month to try my hand at creating my own dehydrated camping meals. I have this one. But until then, these are the foods that you’ll find in our camping box for the next family camping trip.